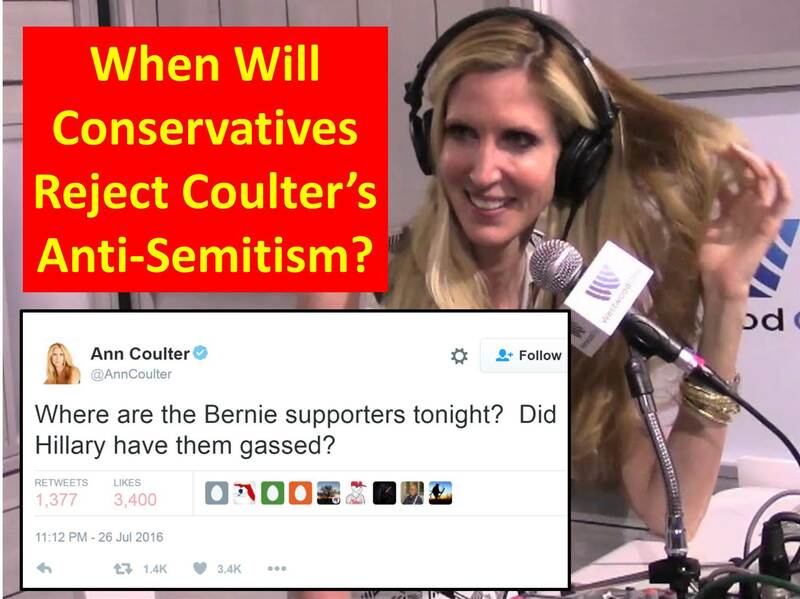 Coulter has a long history of anti-Semitism, stretching back to at least the early 1990s. In the wake of her Effing Jews tweets, Coulter claimed to be pro-Semitic, employing arguments worthy of an Orwellian dictator. Coulter even enlisted the aid of her conservative friends to prove her noble and just. Those efforts abysmally failed. Her Orwellian newspeak and doublethink was exposed for what it is. Then Coulter went after Catholics. Now she has retargeted her preferred object of hatred: Jews. Why attack Jews and Catholics? Because they do not fit into her utopian dream of a restored WASP nation. Coulter is ecstatic over Trump’s transformation of the GOP into a new Know-Nothing Party which is anti-immigrant, anti-Catholic, and anti-Jew. The Alt-Right and David Duke have eagerly embraced Donald Trump and his (and Coulter’s) message. Will conservatives join the Never Trump movement and denounce this latest instance of anti-Semitism by Trump’s consigliere? With Conservatism and the American Dream on the precipice of disaster, will Ann Coulter choose to save herself or America? Will she continue to place pride above principles or, in an abrupt about face, to actually do the right thing. Donald Trump’s selection of pro-immigration Gov. 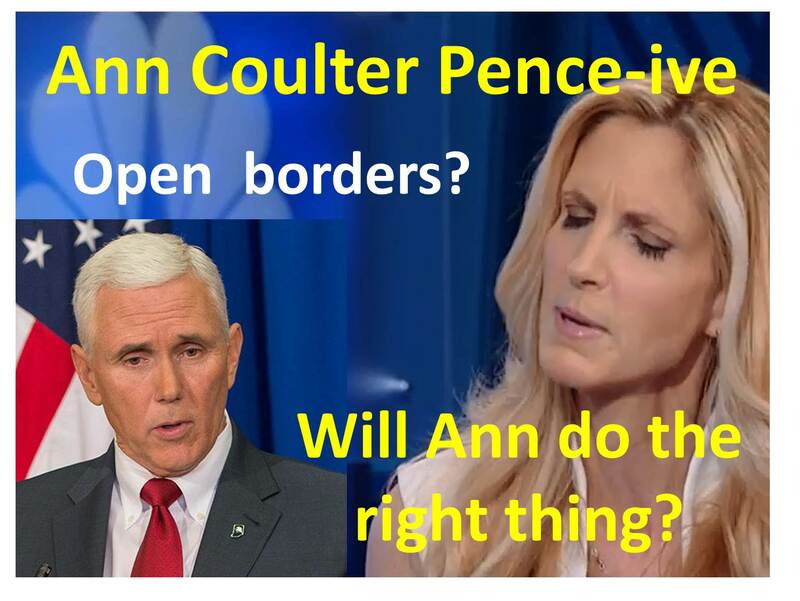 Mike Pence (IN) as his running mate places Coulter in a predicament, especially since her primary (if not sole) reason for supporting Trump is what she perceives as his strong stand against immigration. For over a year, Coulter has insisted – promised, vowed – that Donald Trump is the only one we can trust to build a wall and stop immigration. But Trump has already proven that his immigration policy is malleable in order to reach consensus with the establishment. His pledge for a wall and deportation of illegal aliens are merely starting points for negotiation and will be retracted for expediency and making deals with Congress. Even as Trump spoke of being flexible and willing to negotiate a grand deal (“comprehensive immigration reform” anyone? ), Coulter continued to extol his virtues (as invisible as they might be) while besmirching all his detractors as corrupt or crazy – all the while opposing the one conservative candidate with a proven record on immigration – Ted Cruz. Aghast at the very thought of Trump choosing Pence for vice president, Coulter erupted with a tirade. For a fleeting moment, I hoped that she would see through Trump’s flimflam and realize that he will never fulfill her dreams. Immigration remains the single issue that matters most to her, yet she continues – to this day – to support Trump, the one candidate who has proven himself untrustworthy on this (and every other) issue. Will Coulter now abandon her commitment to a border wall and a moratorium on immigration – national policies she claims are essential to saving America as we know it – merely to salvage her pride and sell more books? If Coulter has any integrity at all, she will denounce Trump, support a delegate revolt at the GOP Convention, and endorse Sen. Ted Cruz (TX), the only conceivable candidate who could both defeat Hillary this November and, once in office, be trusted to follow the Constitution and to make preservation of national sovereignty and American identity a top priority. It will take more than integrity for Coulter to do the right thing. It will also take incredible courage – courage to admit that she was wrong about Trump and that she lied about Cruz. Will Coulter place her own pride above the best interests of this nation (and the world), continuing to do what she has always done by taking the path of least resistance? Or will Ann do what she knows in her heart is the right thing to do? Will she trust in God, seek His will, and do it? Ann regards Trump as her Savior. If she would look to her real Savior – Jesus Christ – then she could be filled with courage to do the right thing. Will she? Ann Coulter, “And Then There Was the One,” 5/4/16. 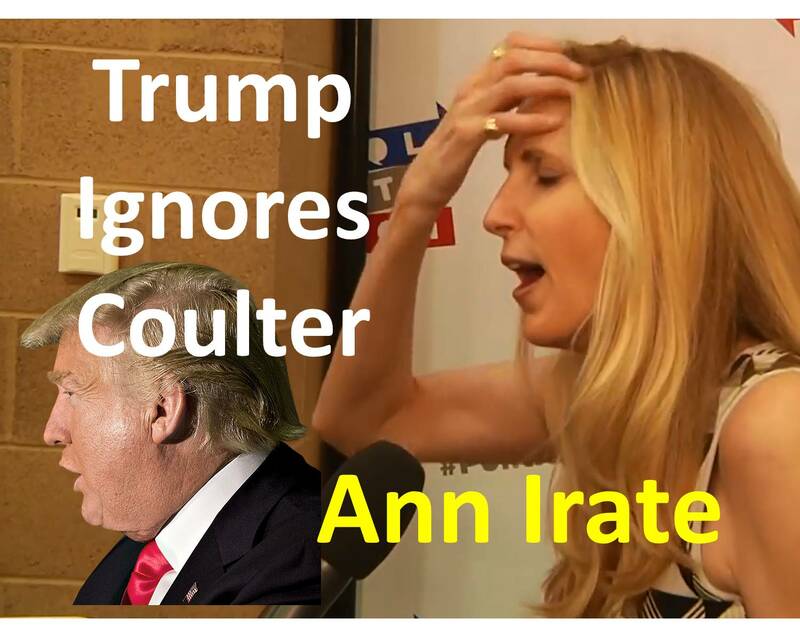 See “Trump Ignores Coulter, Ann Irate” at http://wp.me/p4jHFp-eT. The Donald ignored Coulter’s painstaking advice for selection of his vice presidential running mate and chose Gov. Mike Pence (IN). 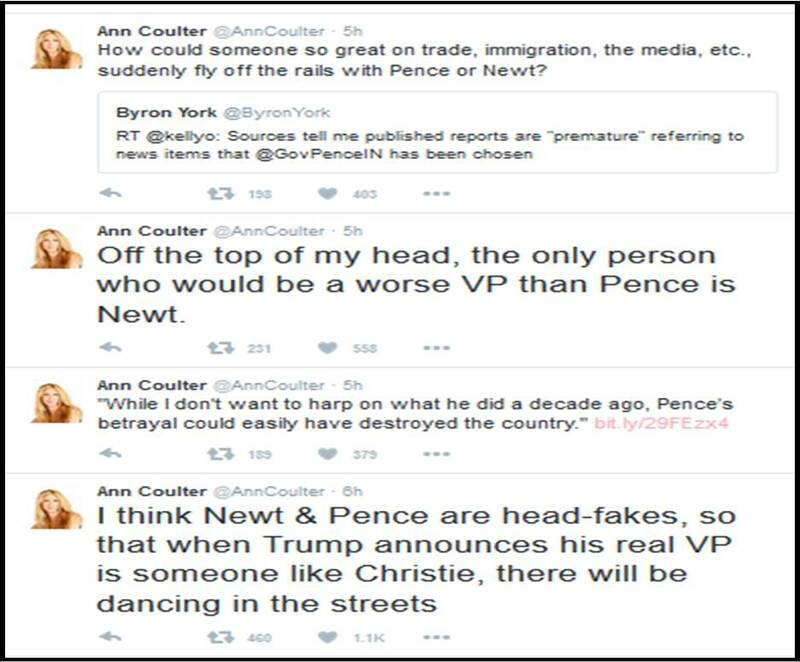 In her column (7/6/16), Coulter vilified fiery former House Speaker Newt Gingrich only to have Trump choose milquetoast Pence. Apparently, Little Hands Donald feared being upstaged by his own running mate. 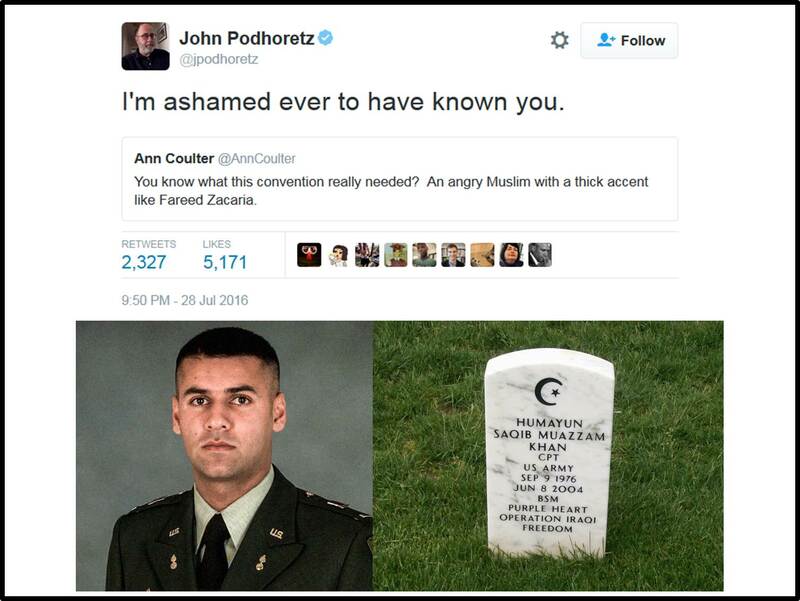 Coulter vented her wrath on Facebook and Twitter. Coulter contends her “next-door neighbor” or Harriet Myers would be better options. 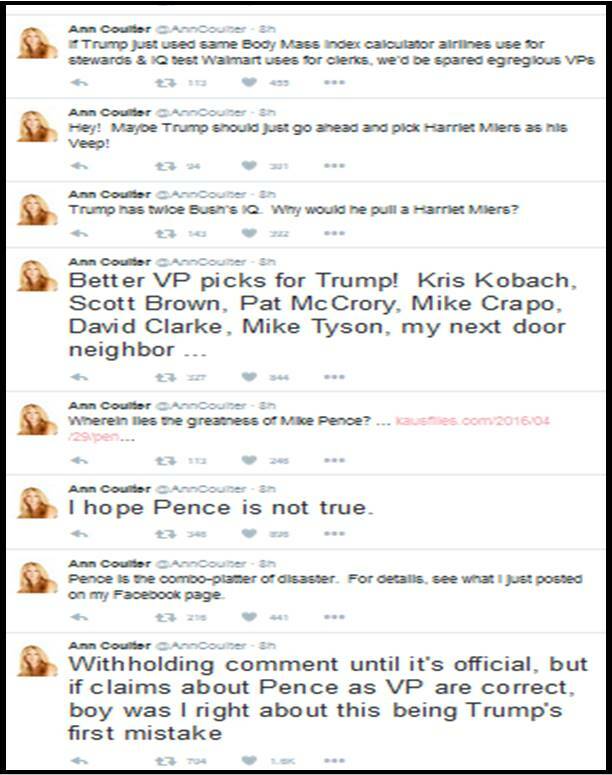 Given Coulter’s prior vitriol against Myers, I hope her neighbor is well-armed. In a state of denial, hoping the nightmare would soon pass, Coulter declared Gingrich to be the only worse possible VP choice. Subsequent tweets continue to tar and feather Trump’s selection. The smartest women in the world disagrees with the choice made by the best candidate she’s ever seen. 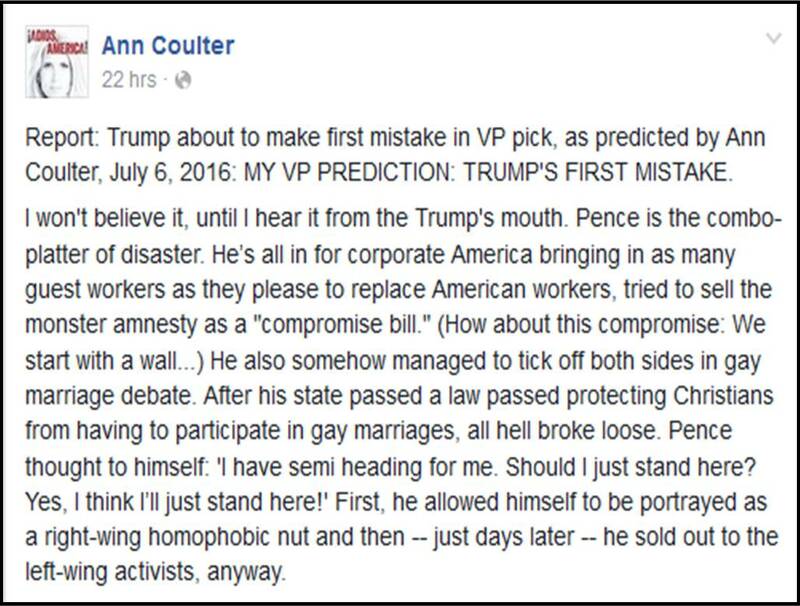 Will Coulter continue to attack her presumptive VP, and, in effect, attack Trump himself? Or will avarice and self-interest inevitably prevail? Trump is, after all, her current meal ticket and subject of her next book.